If you're working in the field of sustainable development — creating new products and services or improving already existing ones, developing strategies, CSR initiatives, codex or even impact measures and KPIs - your go-to tool is the materiality analysis. The materiality analysis helps you filter out the sustainable development issues that are most material or pressing to your organisation and stakeholders. The materiality analysis is also an essential component of the Global Reporting Initiative (GRI) global standards for sustainability reporting. 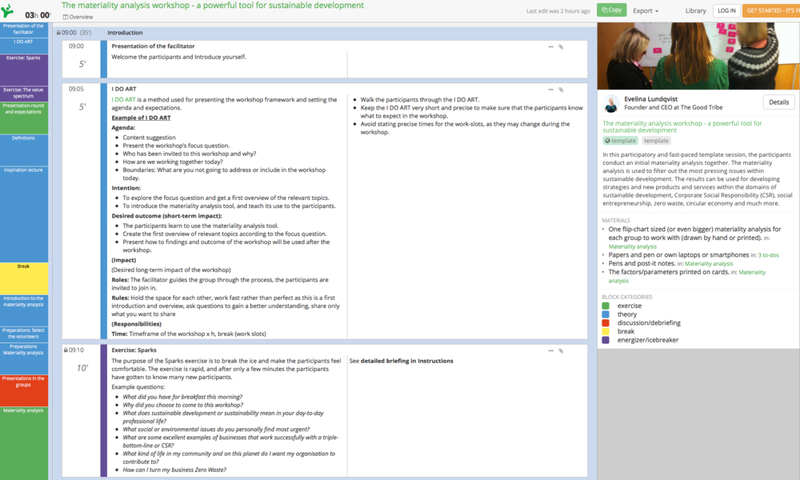 As you might know, I’m an avid user of the workshop planning tool SessionLab. SessionLab is now launching a new beautiful free feature - template workshops. 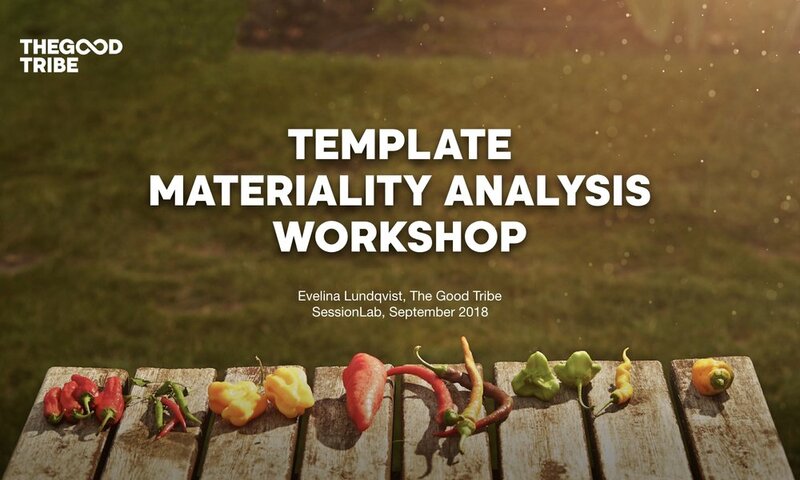 For the launch, I've created a free three-hour workshop template introducing the materiality analysis + a comprehensive guide that helps you prepare the workshop. The free workshop template contains prepared work slots with thorough instructions, timing information, a list of required materials, a sample slide deck and much more. To give you an example of what a materiality analysis in progress might look like, have a look at these examples from Unilever and BASF. Feel free to use and modify the template to fit your purpose! I'd be super happy if you shared the template with others and if you'd send me feedback with your improvement wishes. Get in touch if you want to book me for a 3-8 hour materiality analysis workshop. I’m more than happy to help. This is an illustration of the "old" or an earlier type of the materiality analysis. The “old” materiality analysis focuses on rating the importance of various topics according to relevance to external stakeholders relative to the organisation (internal stakeholders). Before the workshop, a focus question is formulated to help the participants understand the purpose of the workshop. The stakeholder(s) can be defined before or during the workshop. This is an an illustration of the "new", or a more recent type of materiality analysis, with an overlay of an Urgent vs Important filter. The “new” materiality analysis focuses on rating various sustainable development topics according to the organisation’s ability to impact or influence the issue, relative to their impact on the organisation. 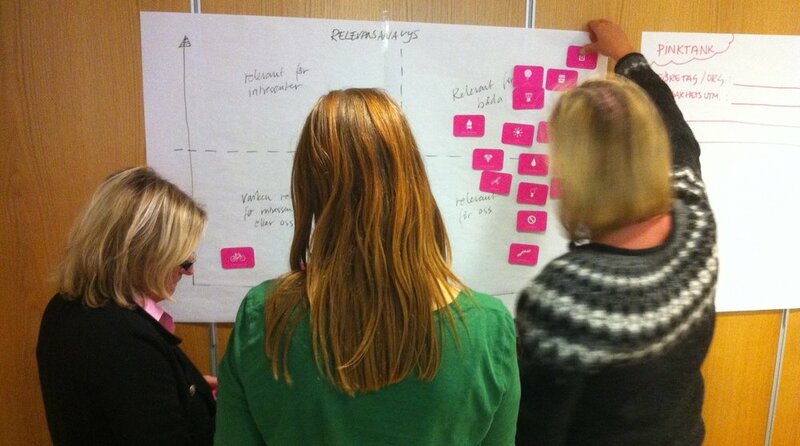 The workshop participants position sustainable development issues throughout the matrix. The Urgent vs Important filter can help visualise what topics are most pressing to deal with, but also highlight areas where the organisation might be missing out on new market opportunities. To conduct the materiality analysis, you will need a set of parameters or factors to position throughout the matrix. The parameters or factors can e.g. be based on the Global Reporting Initiative (GRI) standards or the UN global sustainable development goals (SDG). As the co-creator of MethodKit for Sustainable Development, I’d highly recommend using the kit we developed together with MethodKit. The MethodKit for Sustainable Development contains 55 illustrated cards, each representing a critical issue that will help you define and give structure to your sustainability work. Order your MethodKit for Sustainable Development here.